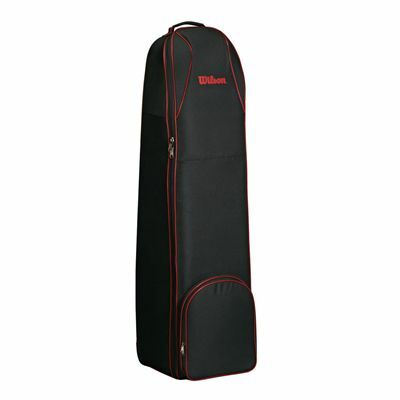 The Wilson wheel travel cover provides a perfect protection of your golf clubs during transportation enabling you to fly and drive with them to the best golf courses in the world no matter how far they are. The cover is made from a durable 100% Polyester and features an internal padding which ensures that your clubs are fully protected whilst on the move. It also has in line skate wheels built-in to the base and a very strong grab handle that combined together make the transportation of the gear very easy and comfortable. 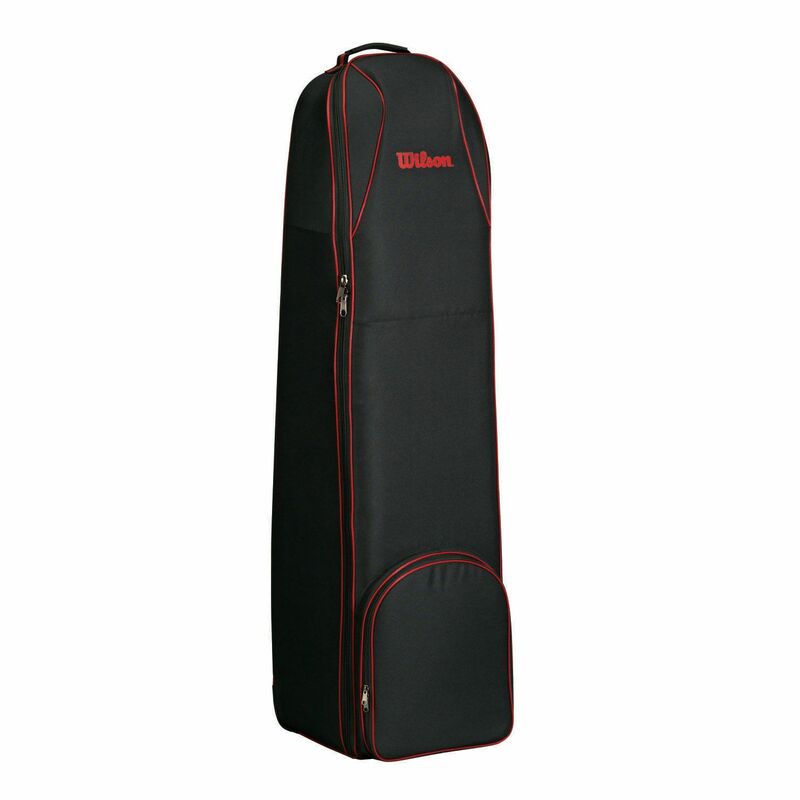 This stylish black bag with red Wilson logo and red trims is suitable both for cart and stand bags. It will fit a regular bag up to 9.5" (24cm). for submitting product review about Wilson Wheel Travel Cover.